Remember when I told you guys that I found THE eye cream? 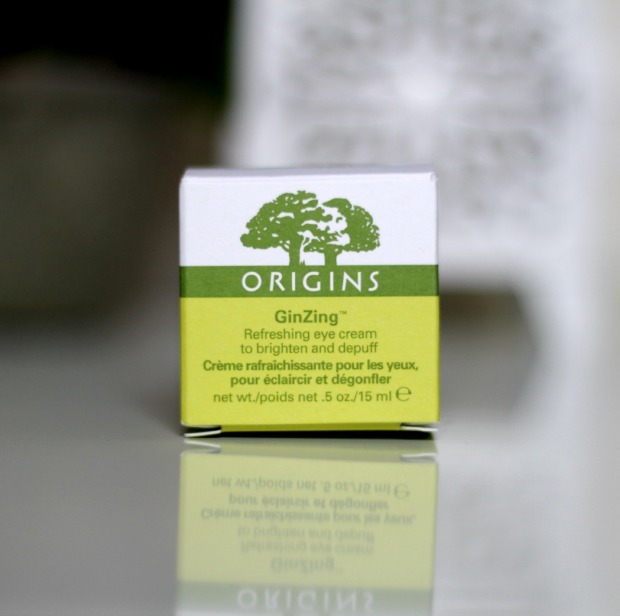 Well, here it is: Origins GinZing refreshing eye cream. Finally, an eye cream that actually lets me see a very noticeable difference. This gem is formulated with a proprietary complex of caffeine, Panax ginseng, magnolia extract, and natural optic brighteners. All of that makes it a perfect product to use in the morning. As soon as I dabbed it under my eyes for a very first time, I knew that it was a keeper. 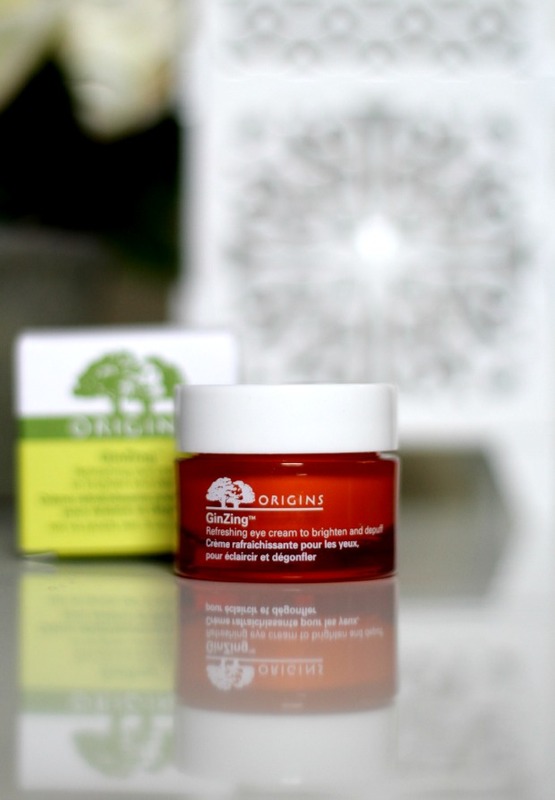 With its pink/salmon base, (it’s also fragrance-free, at least as far as I can tell) Origins GinZing eye cream leaves me looking like I’m wearing a highlighter/concealer under my eyes, which I think is amazing, especially for those days when I chose to go make-up-free. Its light-reflective properties make the under eye skin look bright and glow-y. It doesn’t make me look like I’m wearing makeup, but it sort of gives the same effect as a concealer, while looking mighty natural and blending seamlessly into the skin. It’s like magic in a jar. 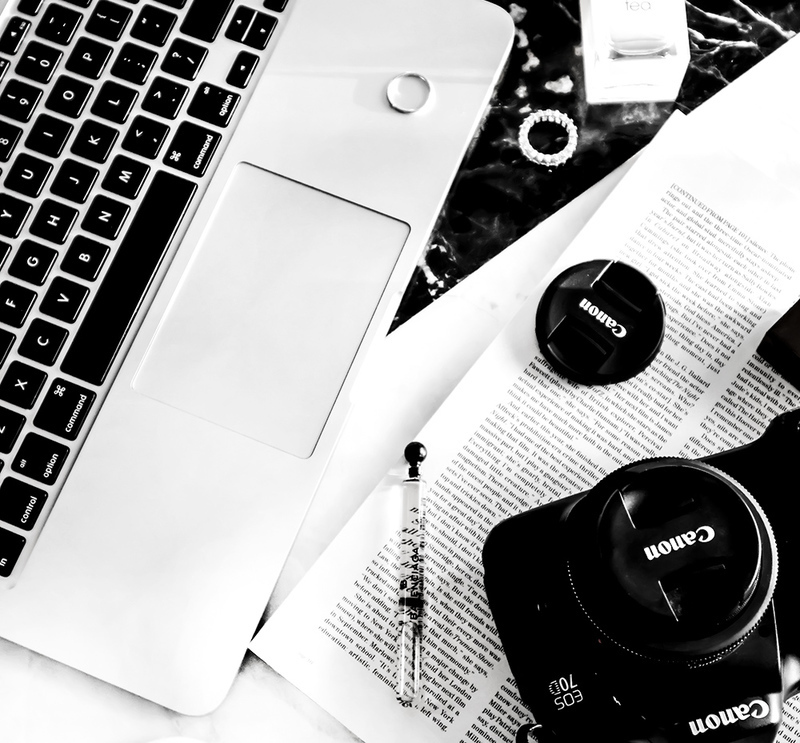 As you guys know, my skin is quite sensitive at times and from time to time I get a bad reaction when introducing a new product into my skincare regimen. I was really happy that this cream has not irritated or burned my skin as few other eye creams that I’ve tried over the years did. As far as de-puffing goes, I wouldn’t know whether or not this works as good as it claims, as I don’t suffer from puffy eyes (unless I haven’t gotten much sleep the night before, which is rare for me nowadays). I do, however, see this as a go-to cream that I’d recommend to use after a night out, a long flight/drive or when you’re simply tired and exhausted and your skin feels dehydrated. While I adore this cream and think that it’s highly effective, I do not think that this will help you with your fine lines. I, thankfully, don’t have any (yet) but I can definitely see how this product can easily settle down in those lines. I think that it’s a great “starter” eye cream. I got mine at Macy’s for $30.00 (15 ml) and although the jar is pretty small (as is the case with most eye creams) the GinZing eye cream is very potent and due to its rich and creamy formula all you need is a tiniest little dab under each eye.